StageBuzz.com: Planet Connections Interview - Mark-Eugene Garcia of "The Holy Cows of Credence, South Dakota"
Planet Connections Interview - Mark-Eugene Garcia of "The Holy Cows of Credence, South Dakota"
Mark-Eugene Garcia is a proud member of A.S.C.A.P. and is the director of the Playwrights Forum of the F.A.C.T. Theatre Company. He is a Graduate of City College of New York and studied book and lyric writing with the Academy of New Musical Theatre in Los Angeles. His musicals include STANDBY- THE MUSICAL (New York International Fringe Festival- Encores Selection, New York Musical Theatre Festival, Next Link Selection), FACING EAST: A NEW MUSICAL (Broadwayworld.com Chicago Special Event- Nominee), THE HOLY COWS OF CREDENCE SOUTH DAKOTA, and THE JOURNEY. His plays include (UN)MISSED CONNECTIONS (Jacob Weiser Playwriting Award for a Fully Realized Drama, The Stark Award in Drama in Memory of Ross Alexander- honorable mention), ONE NIGHT AT THE GOLDEN BOOT, INSCRIPTIONS, WHAT FRIENDS ARE FOR and KEYS. His works have been presented in The New York International Fringe Festival, The Planet Connections Theatre Festivity, The Puzzle: Marble’s Festival of New Works, ANMT’s Festival of New Musicals, Untucked: LBGT One Act festival, LaGuardia Performing Arts Center, Disney’s Hyperion Theatre, and The Colony Theatre Burbank. Carolyn: Royal Crane and I began our career as stand-up comedians performing in the LA area. On a challenge and the promise of an all you can eat buffet, we began writing a play for three friends who had found it difficult to find parts that fit their unique personalities and extra-large bodies. Night Nurses was a critical success and quickly launched our writing career but ruined the three aforementioned friendships. Writers see things differently. Often mistaken as husband and wife, which creeps us out, we continue to work to write for all mediums but fewer larges. Holy Cows is our second collaboration. Mark: When it comes to musical theatre, Ahrens and Flaherty will always be my biggest influences. When I was in high school I happened to see the pre Broadway cast of Ragtime and a regional production of Once on this Island back to back. I was immediately drawn to the storytelling through music in each show. Up until then I felt musicals were just about doing a scene, singing a song about it, then doing another scene. In those two stories so much time and emotion was wrapped into each song. I was addicted When I realized that the same people wrote these two shows, I instantly went and found their other material. I’ve been hooked ever since. That’s about when I started writing plays and poetry, which led me into musical theatre. 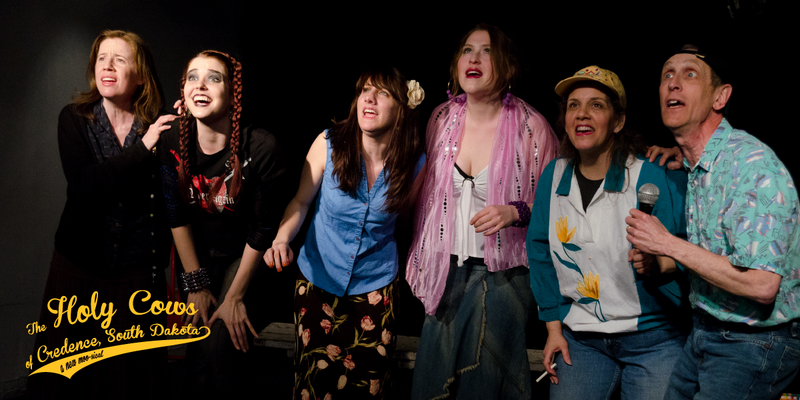 Mark: The musical is about a community of women- and one man- who get together every Sunday to watch their, ever losing, church baseball team (The Holy Cows) play. The minister’s wife, Marlys Brooks, uses these Sunday get-togethers to solve the problems of all of her friends. But this Sunday is the anniversary of a tragedy in her life. Because of this, she is losing her faith. But she has no one to tell. Alone, confused, and searching, Marlys puts her faith in an unlikely source. Carolyn: On a hot summer day on a dirt road in South Dakota, four young adults, almost home, passed a slow-moving tractor. Their head-on collision with the vehicle on the other side of the road and their deaths is not newsworthy. It happens with regularity on the two lane dirt ways of rural America. But in that event were all of life’s unanswered questions. Why do these things happen? What if they had had one more cup of coffee to drink that day? What if they had had one less cup of coffee? Why do the “good” ones have to die and who gets to decide who the “good” ones are anyway? With the metaphor of a church softball game, a game that everyone understands, we explore the profound questions of life and death and signs in a game that no one understands. Mark: My mom handed me the play Holy Cows which was written by a friend of hers and mentor of mine, Carolyn English and her writing partner Royal Crane. That was almost ten years ago. It was a bit of time before I was able to sit down and read the play, during the break from another project. Immediately, I heard music singing from the page and knew that I needed to tell this fantastic story through song. I was incredibly nervous approaching someone who I had always thought of as “teacher” and “mentor” and asking if I could try my hand at adapting her work. However after giving me the go ahead, and seeing Carolyn and Royal’s reactions to the first readings, I felt reassured and very excited to move along with this project. We have been given some fantastic opportunities, first with LaGuardia College, then later The Puzzle: Marble Collegiate Church’s Festival of New Works, and finally here, with the Planet Connections Theatre Festivity. These characters mean so much because they are so real. The story means so much because it is so basic, yet so touching. This is a simple show, with an intimate story of six people hoping for something as small as their small town church winning a game. Yet, looking deeper, to hits heart, we see a woman searching desperately for meaning, a group of people searching for community, and a young girl searching for a connection. It is in these moments that the Holy Cows sing. Mark: One of the many things I love about The Holy Cows of Credence, South Dakota is the sense of community between the characters. This is something that continues in the behind scenes element also. We have Carolyn, who always encouraged my writing when I was younger. Then three years ago, when the musical premiered at LaGuardia College, a fellow student, Viktoria Dana King, was my assistant director. We were so happy to have her back on board in that role this time around. 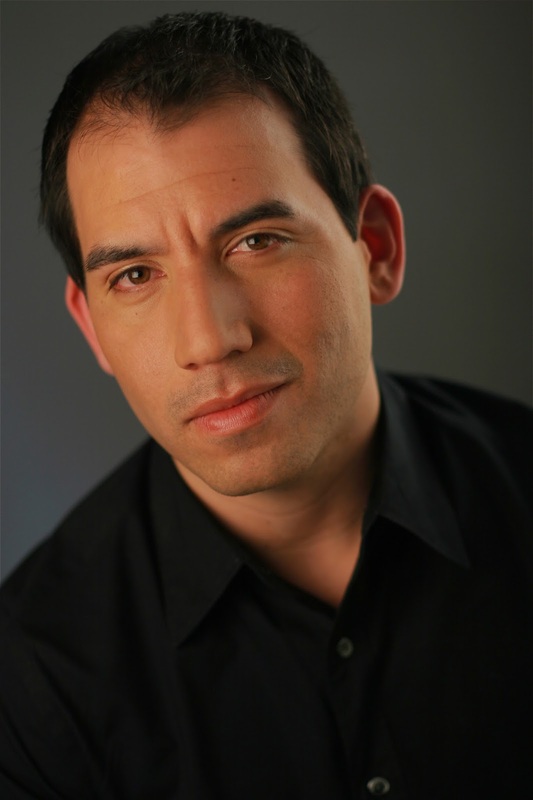 Rodrigo E. Bolaños was our set designer in that run, but in the past few years has become an accomplished director. Having seen every production of Cows, and after his fantastic work on my play (un)missed connections, it seemed only natural to have him take the bull by the horns this time around. David Rigano and I worked on another musical Facing East out in Chicago. He and his brother Paul Rigano write so well together and their song, style and sensibility fit the show so well, that they also seemed the natural fit. Kyle James Johnson, our stage manager, was an actor in (un)missed connections last year. Donald Garverick is a friend, as well as a fantastic choreographer whom we’d all longed to work with for quite a while. I love the storytelling he does with movement. Casting wise, Lisa Dennett who plays Grandma Fette did such a great job in the reading at The Puzzle Festival two years ago that we were so happy to have her back. As for the new members of our herd: Stephanie Kirkland brings such honesty and beauty to Marlys. Alanna Gwynn Shaffer manages to be hilarious and touching at the same time. Jenny Paul is hilarious perfection as Dotty-Lue. Peter Ackerman is spot on as Skipper and has more energy that I thought was humanly possible. Julia Menn is wonderful, bringing a balance of dark and light to the dramatic role of Liz. Mark: For our charity, we chose WIN (Women in Need). The Holy Cows of Credence, South Dakota is show about women and community. With nearly an all female cast, we really wanted to find charity that focused on women. WIN transforms the lives of New York City homeless women and their children by providing a holistic solution of safe housing, critical services and ground-breaking programs they need to succeed on their own – so the women can regain their independence and their children can look forward to a brighter future. The linking of women and community was so close to our theme that WIN seemed like the perfect fit.